At Xttrium Laboratories, a new line dedicated to 16-oz PET bottles of mouthwash features robotic palletizing software that greatly streamlines the palletizing process. Xttrium Laboratories of Mount Prospect, IL, recently implemented a comprehensive serialization solution from Systech International on a new line for 16-oz PET bottles of prescription mouthwash. 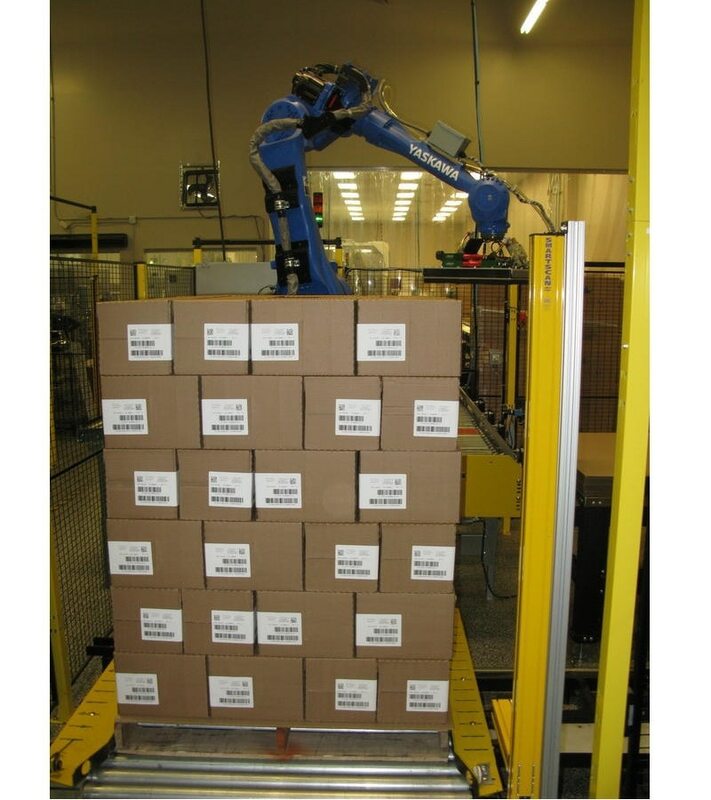 The robotic palletizer at the end of the line is an Arpac Arbot-LT, which features a robot from Yaskawa Motoman. End-of-arm tooling uses vacuum pick up to put a slip sheet on the pallet, place 126 cases on the pallet, and then place a slip sheet on top. Arpac was among the very first to take advantage of a new robotic palletizing software from Motoman called PalletSolver that streamlines the palletizing process by generating ideal pallet patterns and enabling robots to palletize more variations quickly and efficiently.Thanks to its intuitive drag-and-drop features, PalletSolver makes it possible to quickly set robotic palletizing routines for virtually any mix of SKUs entering the Arbot-LT. Unlike the more conventional or traditional approach, where programming lines of robotic code is required to make a change in a pallet pattern, with PalletSolver a trained operator can go to the machine’s teach pendant and program a new pattern with no need for input from a dedicated robot programmer. 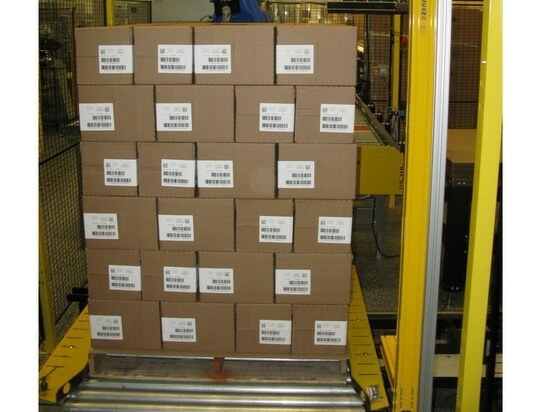 Arpac palletizer takes advantage of new PalletSolver software.